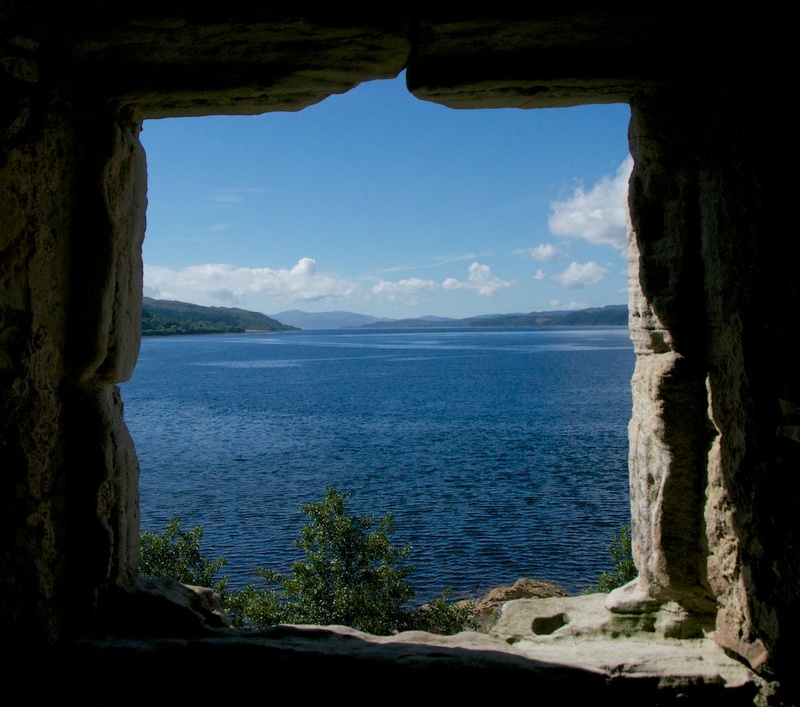 Something to brighten a rainy day… the view from a window in Old Castle Lachlan on Loch Fyne. This is the ancient stronghold of the Maclachlans of Strathlachlan, and it certainly has some stories to tell. You can read more in this article on The Hazel Tree. Beautiful shades of blue. Nice frame. Such a glorious day last summer – nice to dream of! Wonderful to see on a cold winter’s day. Actually, that photo would be good to see on any day. Thanks, Jo! Yes, they had a superb view from that castle, right down the loch towards the sea. I wish I could close my eyes then open them, and be there. Yes! I know. If you keep your eyes closed, you can be! Jo: do you do articles by others? Took a roots trip last year to Rule Water on the Borders near Jedburgh and have some lovely pictures/stories to share. Thanks for your enquiry, Jim – will reply by email. Gorgeous, what a cracking shot. Thank you! Such a spectacular view from there, and I think it’s nice to remember the blues of summer on winter days.